Mac users are faced with a problem of opening and viewing Visio® documents on Mac. Luckily, there are a variety of Visio® alternatives that may help you to view drawings on macOS. Most people search for free Visio® viewers; however, usually they are disappointed as their files are shown with a poor quality or the images crash. There are also a number of powerful and high-priced software programs that provide most Microsoft Visio® features, but nevertheless come up with image mapping errors. So what is the best Visio® alternative for macOS? It all depends on your needs. If you need a tool for collaborating on Visio® drawings only, we would like to introduce you to VSDX Annotator, which copes with this task perfectly. Please note, VSDX Annotator doesn’t allow you to create diagrams and can’t be a replacement for vector graphic software such as SmartDraw. The app is designed to open and preview Visio drawings. In addition, it provides a bonus feature: 12 annotation tools for making notes and changes in the drawing and then sharing files with colleagues either in PDF or in VSDX extension. What options are the most important for Visio® viewers? Most Mac users complain about faulty display of Visio® documents within some Visio® viewers. It might seem strange, especially when it’s the main task of a software and you pay a high price for it. 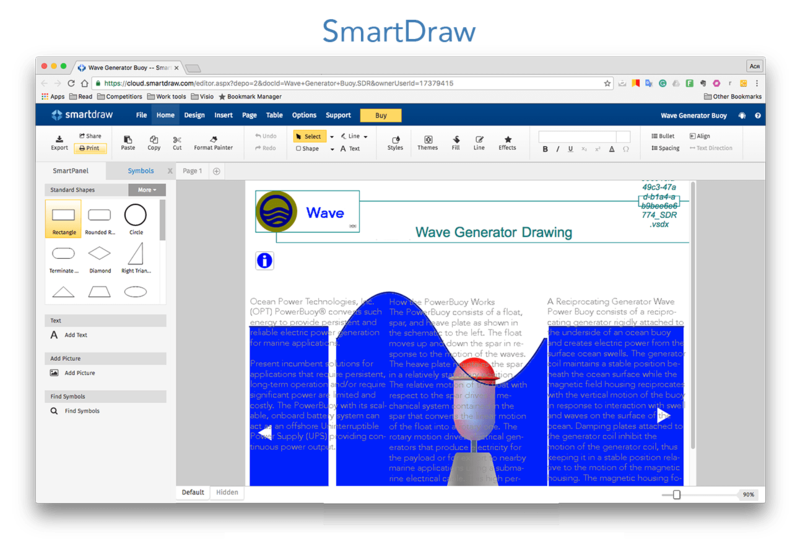 We decided to test two programs – VSDX Annotator and SmartDraw – and compare how they display Visio files on Mac. In the table below, you can view a short review of our results.Here is one example of how Visio files are displayed within VSDX Annotator and SmartDraw. Here is one example of how Visio files are displayed within VSDX Annotator and SmartDraw. *Note: Layers are switched off in VSDX Annotator. SmartDraw doesn’t support Layers. What is the best Visio® viewer for Mac? I’m absolutely satisfied with this tool. It allows me to make notes and changes in visio drawing just on my Macbook. It shows shape data, layers and hyperlinks. And what I like most is the possibility to save drawings with inserted annotations. VSDX Annotator is an efficient tool for collaboration on visio docs. I use it to annotate the drawings from my colleague and send it back, then he makes adjustments. It is so convenient and reduces much time when improvements are needed. 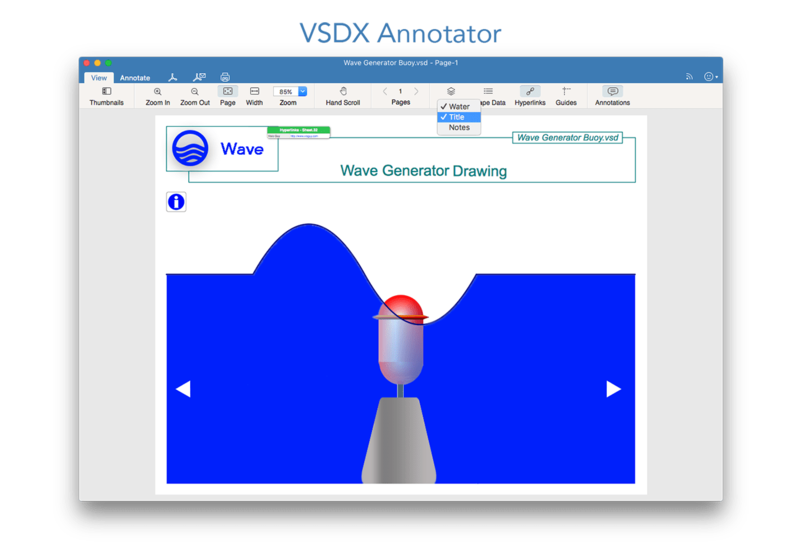 Taking into consideration the customer reviews and our own experience with both VSDX Annotator and ConceptDraw programs, we would recommend VSD Annotator to view Visio® files on Mac.